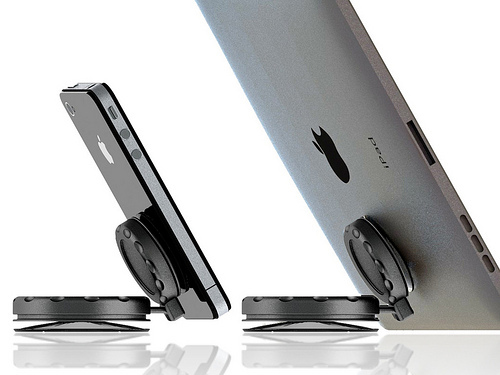 When thinking about a stand for the iPhone and iPad, one doesn't think about a suction cup stand. That's until you get to know what this one has to offer. The MobileMount is a universal suction cup mount and kickstand designed for smartphones and tablets with a flat surface. The MobileMount's unique Twist-to-Lock suction cups that create a strong vacuum that's much more reliable than your run-off-the-mill double suction cups. Together with an adjustable ball joint, the MobileMount allows you to mount your smartphone on a windshield for GPS use while offering a useful kickstand for heavier devices like your tablet. The MobileMount is available for pre-order at $25.